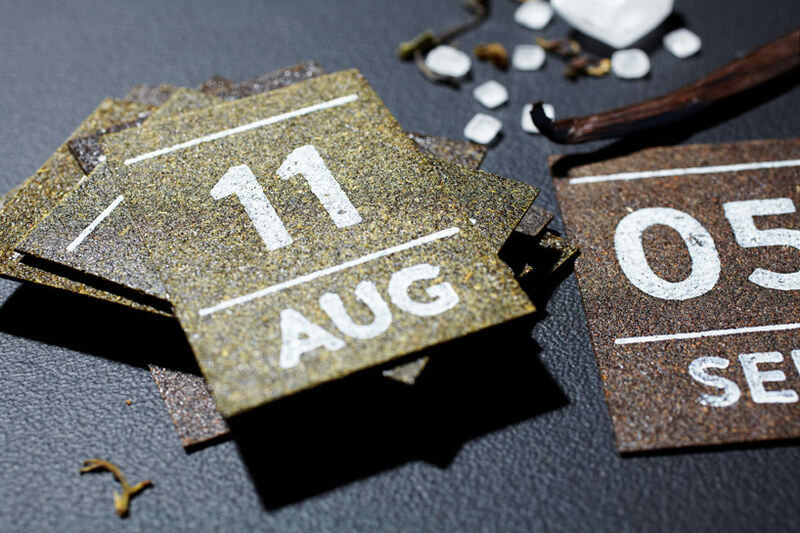 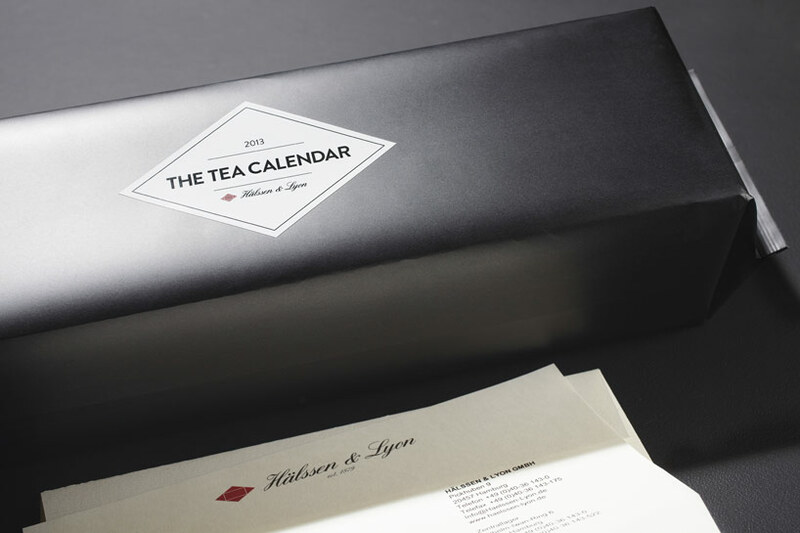 one of europe’s leading tea companies, hälssen & lyon has blended the oldest drink in the world with an age-old promotional medium in the conceptualization of ‘the tea calendar’, an agenda made from pressed leaves. together with hamburg-based creative agency kolle rebbe, they have created a daily chronological book that features individual pages crafted out of compressed tea. 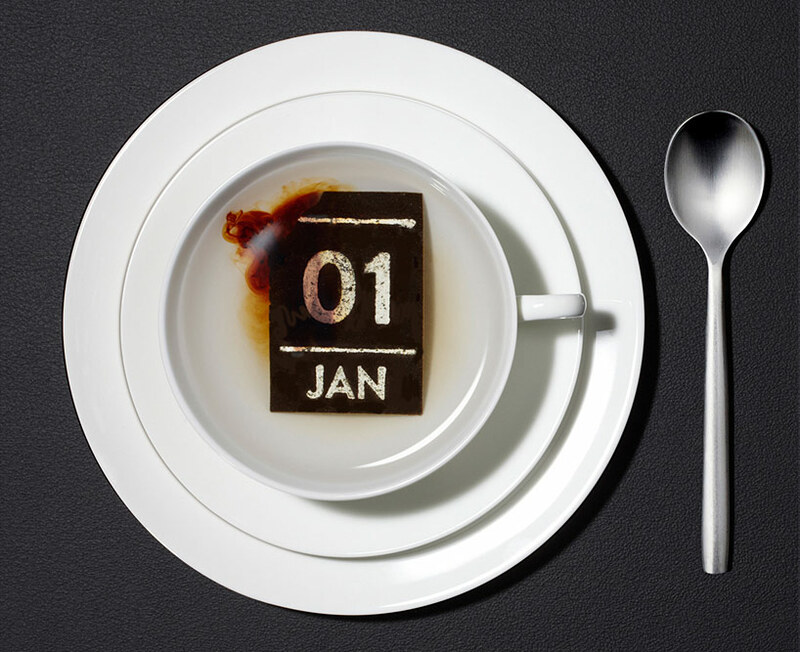 each of the 365 days in the year are represented by a unique flavor and should be torn from the booklet style folio one at time and dropped into hot water, where the small, dated piece dissolves and brews into a drinkable beverage. 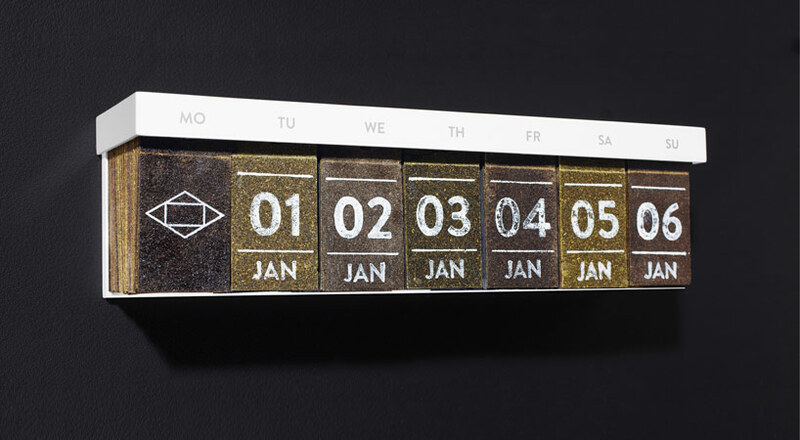 the singular layers were compacted into 1mm thin sheets and configured into printed pages. 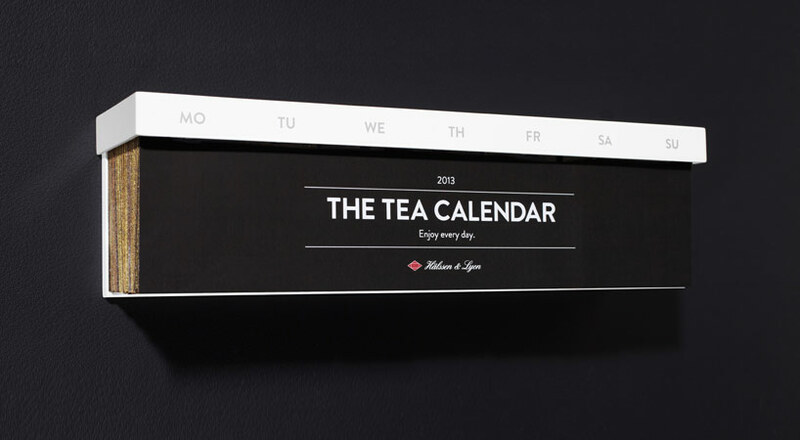 for now, the annual calendar has been developed as limited special editions for the company’s business partners.